Born in Kenya, Curtis stared his career as a schoolboy with the Reading Academy and graduated to earn a first team contract with the Royals. 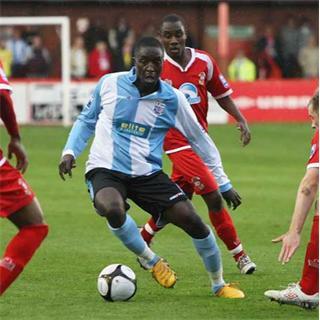 As a 19 year old, he went on a two month loan to Aldershot Town in October 2006, before going on an end of season loan with Woking in January 2007. He only made two substitute appearances for Reading and was restricted mainly to the reserves and on 6 July 2007, a season long loan at Nene Park was agreed for the forthcoming season. 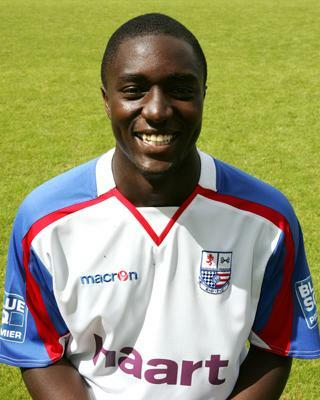 He had played for Reading in their pre-season friendly at Nene Park prior to the season. In making a total of 56 appearances for Diamonds during that loan spell, Curtis started more League games than any other player and after being released by Reading, became manager Garry Hill’s fifth summer signing on 10 July 2008 on a two year deal. He was capable of playing either as a full back or in midfield. During the 2008/2009 season, he was an ever present for the first 39 league games, until injury kept him out of the final games of the season. He scored his debut goal for the club in the 4-0 victory at Altrincham. He showed his flexibility by moving to a role in the centre of defence for a period in the middle of the season, before reverting to his right back role. His performances won him the Diamonds Supporters’ Player of the Season award, and the Diamond Minors’ Player of the Season award. During the following season he once again played at both full-back and centre-back, and his efforts were rewarded with a call-up to the England C squad for their game against Poland Under-23’s in Grodzisk Wielkopolski in November 2009. He agreed an extension to his contract for the 2010/2011 season and went on to make a total of 193 appearances for the club in four years, before being released in May 2011. During July 2011, he had trials with both Brighton & Hove Albion and Luton Town and on 29 July 2011, he signed a six month contract with Luton Town, later extended till the end of the season. On 28 May 2012, Curtis signed a one year deal for League Two side AFC Wimbledon, but after just the single season, he was released on 14 May 2013. Despite having talks with League Two side Newport County, he opted for a deal with newly formed Indian I-League side Jindal Steel Works (JSW) Sports, Bangalore in July 2013. He returned to the UK in 2016, spending a brief period with Farnborough FC before retiring from the game. His Wikipedia page is here.